Through ministry this month, the Lord has been teaching me much about family. I've been so blessed to have been given such a supportive spiritual and biological family by God. I reflected much on the family I was born into (and even the one I’m soon marrying into!). They’ve done so much for me and continue to be persistent with me, even when I can be difficult. I was constantly reminded by God that I'm loved and supported by so many people. The people I get to work with and serve in ministry are also my family, my brothers and sisters in Christ. It’s such an eye opening experience to recognize that you’ve also been grafted into a new family of believers, one that consistently seeks to love one another and point each other to Christ! 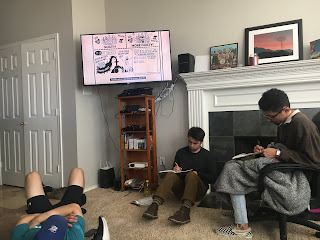 Snapshot of Brandon, Tony, and Pedro working on assignments at a coffee shop. These guys have been so encouraging in the way they live their lives with people they encounter and befriend. We had guest speaker Bill Watson come speak at a Pizza Theology on "How to Tell the Big Story of the Bible". Bill spoke to an audience composed of students from all across our FOCUS campuses, including some FOCUS alumni. He at one point reminded us that we’re spiritual brothers and sisters, brought together by our unity in Christ. Cody, one of my brothers in Christ, manning the hot chocolate outreach table our staff set up at Preston Ridge. We got to warm up people's days and chat with them a bit. Some of the Preston Ridge students hosted a "Friendsgiving" potluck right before we went out on break! I love this community so much. They’re a diverse group of people who love each other and the Lord. Seeing them share a variety of food together was another reminder of the family God has allowed me to be a part of. together is something so special! Speaking of students on fire for the Lord, as of this morning, we’ve raised $76,408 from our Keep Focus Growing campaign! It’s a testament to the amount of people who believe in the vision that God has to teach and grow young students who are capable of giving so much to the Lord and their campuses! If you gave to KFG, thank you so much for pouring into the ministers and students in this ministry! Back in September, Sam and I hosted a “public scripture reading” where we read Micah and invited students. We read scripture out loud, watched a Bible Project video that broke the scripture down, and discussed what we read. 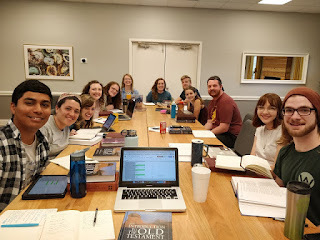 Since then, we’ve had students host and lead other readings on their own, such as this one over Romans. 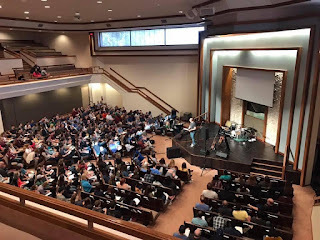 Seeing young leaders in God’s kingdom hunger and thirst for God’s word and respond by taking ownership of reading scripture is so so exciting, as it’s something that is lacking in the church in general. 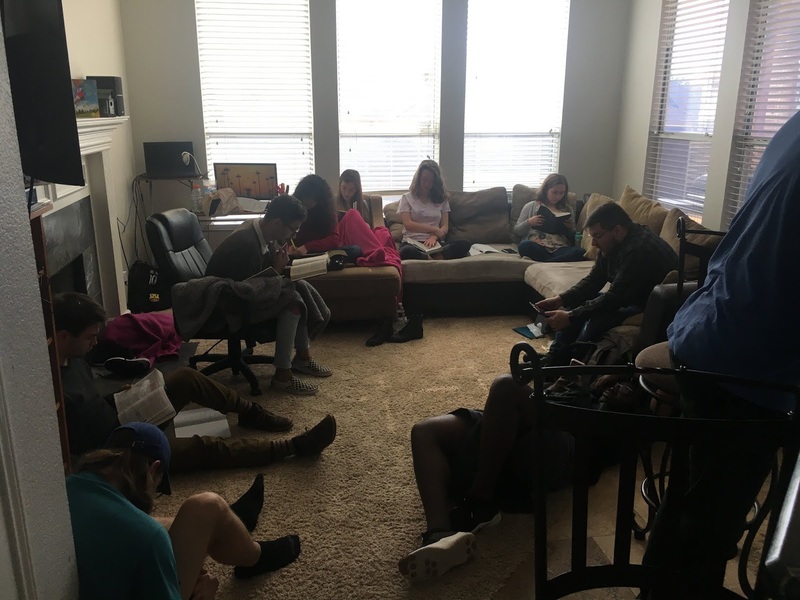 As you can see, there is something that God is doing in this community- He’s bringing people closer to each other and to Him. Building not just friendships, but families through His children. The college campus is another place He connects a diverse group of people, often who wouldn’t be able to stand each other’s differences. However despite their differences, I’ve seen these brothers and sisters love each other in ways that are a testament to the family bond that God unites people in. And for that, I am so thankful. I am also as always, thankful for you. For reading this, for your support and generosity. Please please let me know how I can be praying for you! 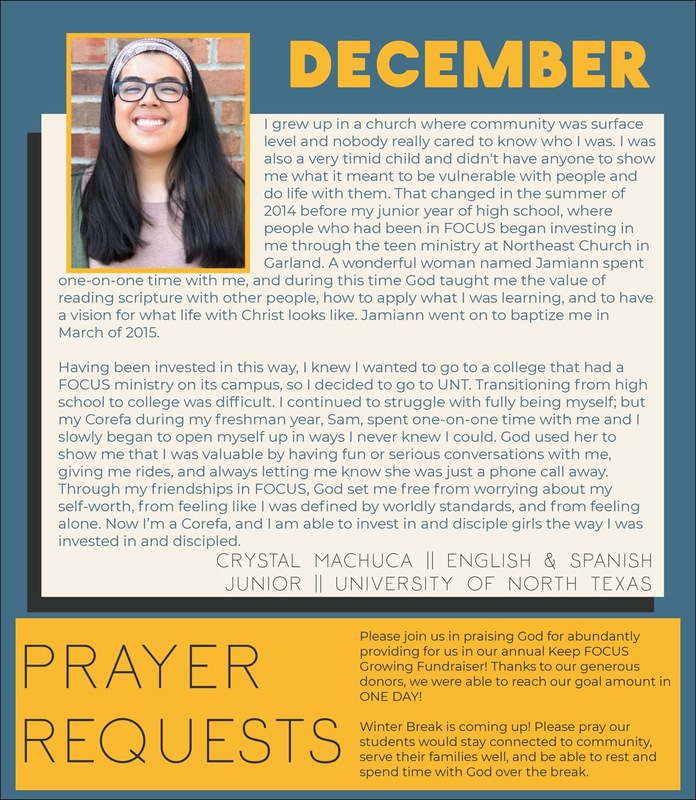 Here’s this month’s student testimony, from one of the students I got to serve and lead with at the UNT ministry!